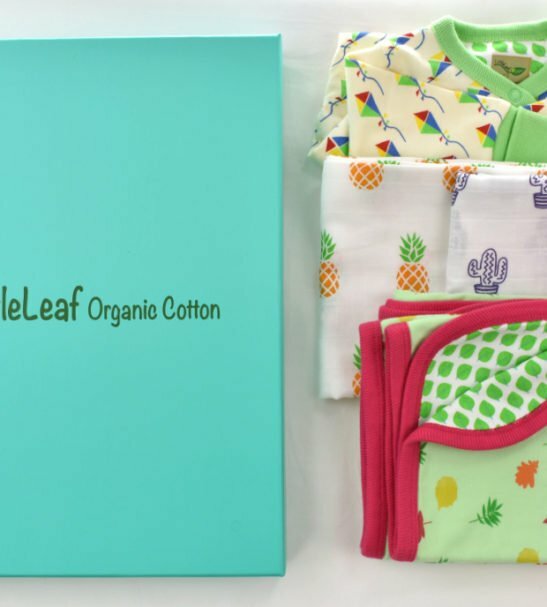 If you’re looking for the perfect present for a new parent, you can’t go wrong with this LittleLeaf beautiful Organic Cotton ‘Welcome To The World’ Baby Gift Box! 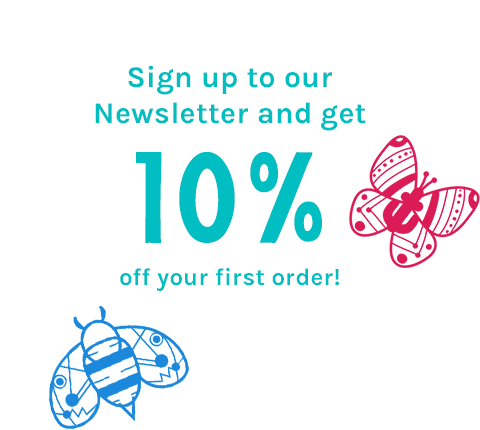 It contains some lovely baby essentials every parent needs – a Baby Grow, reversible Baby Blanket and two gorgeous Muslins. 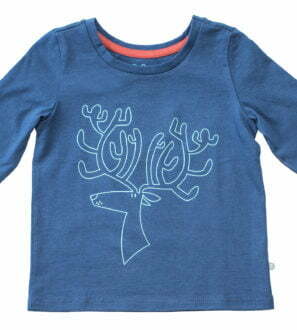 All these lovely goodies come in LittleLeaf’s distinctive original prints that are unisex by design. So that’s a bonus if you don’t know yet whether the baby is a girl or boy. 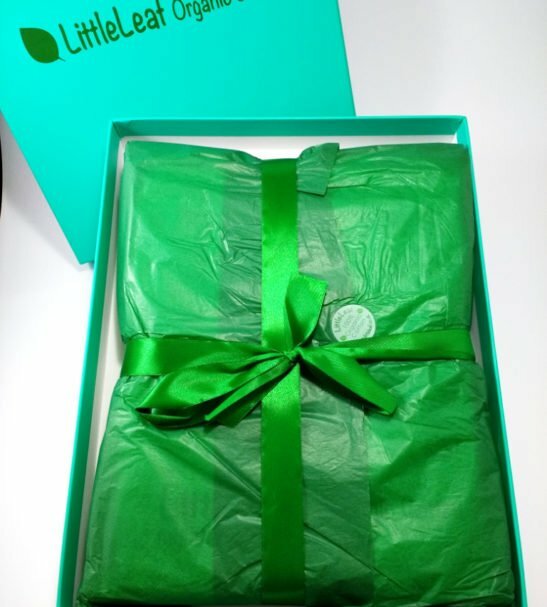 A LittleLeaf Organic Cotton Baby Gift Box also represents great value for money, since it includes all gift wrapping and postage is just a pound! 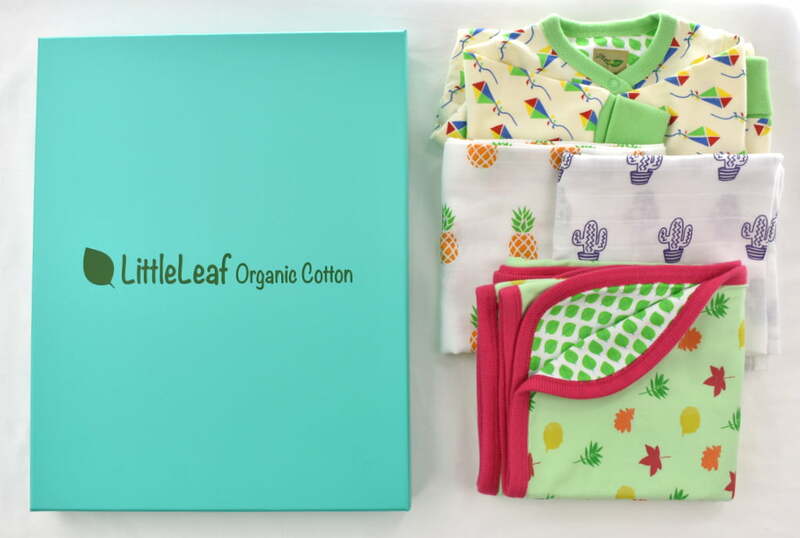 All LittleLeaf products are made from organic cotton, which is so much kinder on a baby’s sensitive skin. We are proud to be registered by the UK Soil Association. 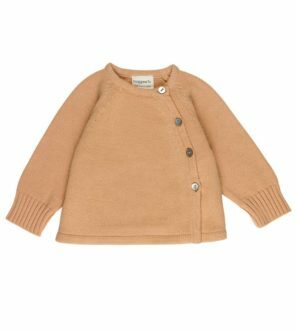 This means that the cotton we use is grown and processed without the use of harmful pesticides and other toxic chemicals. Our certification also ensures that workers have received a fair wage and work in good conditions. Farms and factories where LittleLeaf cotton is grown and sewn are inspected regularly so that these high standards are maintained. You can learn more about GOTS and our certification here. 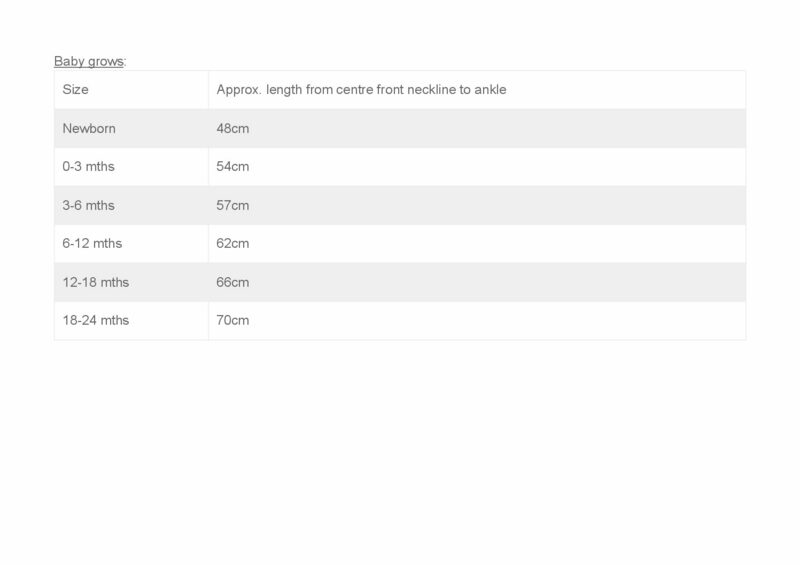 If you have a preference for a particular design (Beach Huts/Kites, etc) for any item, please choose the design from the drop-down box. If you’d rather just leave it to us, that’s fine too! This Organic Cotton ‘Welcome’ Baby Gift will be wrapped in tissue and tied with ribbon before being placed in a smart Classic Gift Box. We also pop in a hand-written card with your own message for the lucky new parents. Please let us know if you’d like us to do this for you, or we can leave it blank. We also include a card detailing the organic and ethical nature of your gift. 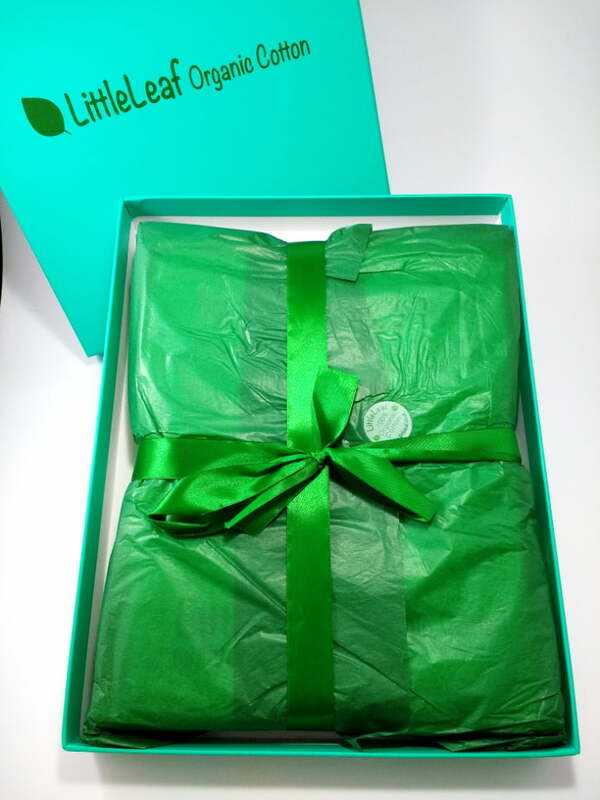 The LittleLeaf box, card, tissue, stickers and all postal packaging are 100% recycled and recyclable. However, the box is of such good quality it’s worth keeping and makes a wonderful “keepsake” box. Postage is currently just £1, making it really excellent value for such a lovely gift. 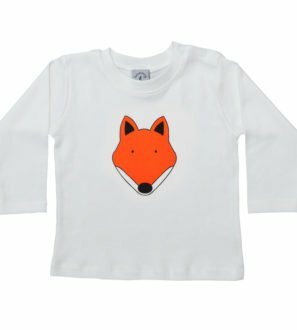 As a family, we think we are fairly environmentally aware, but had never heard about organic cotton until about 4 or 5 years ago. When we learnt about ordinary, non-organic cotton being “the world’s dirtiest crop”, we thought we’d love to have a business which helped to spread the word about how much better certified organic cotton is, for everybody involved, from the farmer and factory worker through to the end user. Everyone knows that organic food is better for us if we can afford it, but not many people know that ordinary cotton – which we still think of as a “natural” product – is actually a terrible polluter, using 16% of the whole world’s pesticides to grow it and that what we put ON our skin is just as important as what we eat. So we wanted to spread the word about how much better certified organic cotton is, for the farmers and factory workers, who get highly regulated fair pay and good working conditions, for the consumer, who ends up with a much more durable, soft and luxurious cotton, and for the environment in general. We are trying to make certified organic cotton more affordable. And we have followed through our environmental ethos to our packaging. From the outset, we have striven to reduce plastic wherever possible. All our postal packaging, paper tape, stickers, tissue paper and wrapping paper are totally recycled and recyclable.